I would like more information about 105 3rd Street. Vacant lot on Anastasia Island just off the beach! 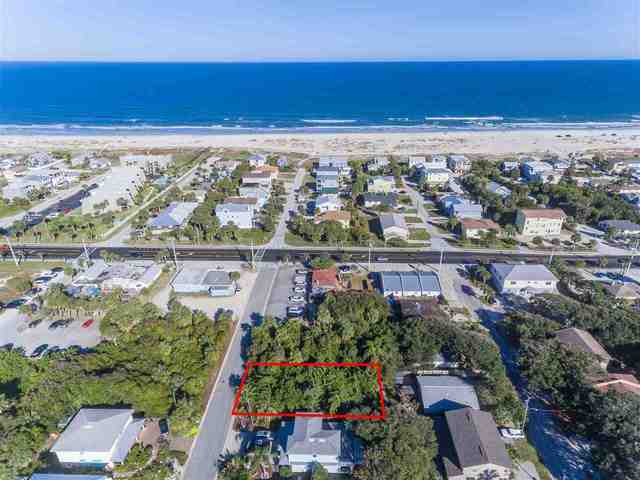 50x100 treed building lot located in the City of St. Augustine Beach. Just a short stroll to the beach and near the famed Kookaburra Coffee shop. Water and sewer available and no time frame to build. Zoned for potential short term rentals. Amazing island location with in walking distance to all St. Augustine Beach has to offer! Directions: Going south on A1A turn right on 3rd Street, property is on the left.